We are excited to once again to be gracing the NEC floor this May for the FIT Show 2019. Time has flown since the last FIT Show and we cannot quite believe it was almost 2 years ago. With a bigger team and an even bigger stand, Chase Taylor are bringing something a little different to this year’s show. Digging deep into our Brummie roots (well for most of us) we will be inviting the window, door and glass industry into our humble garrison. The perfect place to come and visit the team and see how we can help you find the perfect role or the perfect candidate. There may also be an offering of a beer just for coming to talk to us. What more could you want! Our knowledge extends to all areas of the window and door industry from Installers right through to Managing Directors. We always take every opportunity we can to further develop our knowledge of the industry’s latest innovations and products. Being specialists within the industry we take the time and effort to find the right candidates for the right roles, and after almost 7 years in business we must be doing something right. The FIT Show is always a priority date in our diaries. We love meeting up with our existing clients and candidates as well as building new relationships. There’s no better opportunity to put faces to names and learn more about the exciting industry we work in. Be sure not to miss the event of the year and come and say hello to the team on Stand I35. 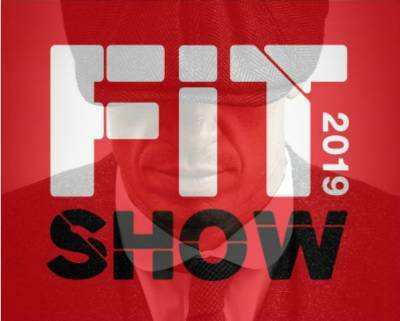 The FIT Show - NEC Birmingham - 21st-23rd May 2019!